Here are some recent case studies from people we have helped. A solicitor recommended Anne to Care Home Finder as, due to failing health, and with no relatives to help, she had decided that she was ready to make the move from her lifetime home into residential care. Although living in West Yorkshire, she favoured moving to North Yorkshire and, without access to a computer and no transport, the bespoke service provided everything she required. Fiona, from Care Home Finder, visited a shortlist of four homes with Anne, one of which in particular stood out as offering exactly the care and accommodation she felt she would be happy with. Fiona liaised with the home manager, arranged an assessment to establish that the care home could provide for Anne’s needs and then dealt with everything else, so that the transition to the care home went smoothly and she settled in happily and quickly. Following word of mouth recommendation from a friend, Care Home Finder was able to help Susan select a suitable care home, much to the appreciation of her family, who all lived overseas and were unable to be there to assist personally. The family were, however, able to look at the shortlisted nursing homes remotely, ask the questions they specifically wanted to through the Care Home Finder team and read the detailed reports provided. This meant that they felt as though they had the best, most relevant and up to date information needed to help them to advise their mum. It was a joint decision involving all the family and has produced the right result, as Susan is now happily living in a lovely nursing home with a whole new group of friends and joining in lots of new activities, giving her a whole new lease of life. Although still quite independent, and able to drive and go out for the occasional lunch with friends, Frank decided full time care was the best option for him, as he wanted someone else to cook his meals and do his laundry, housework, etc., whilst not having to continue with the responsibility of dealing with household repairs, bills and shopping. He spoke to Care Home Finder directly on the recommendation of a neighbour, and they were able to advise him as to the most appropriate care homes in the area. After a number of visits accompanied by Fiona from the Care Home Finder team, he selected the one he felt suited him best and moved in with her assistance. 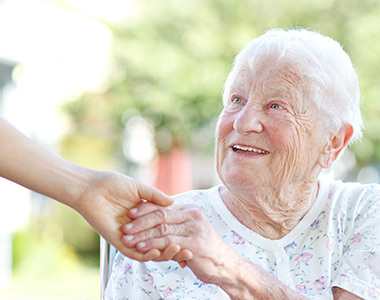 Whatever your need with regard to finding the right care home, we will listen and let you know how we can help.